We’ve all been their, your at work and your bookmarking sites all day that you want to return to later. You head home and open your browser and remember the bookmarks are on your work PC and not your home PC. You now have to go looking for the sites all over again. Wouldn’t it be great if every-time you set a bookmark in your browser it was available on your home PC without you having to do anything. With Google Chrome now you can. 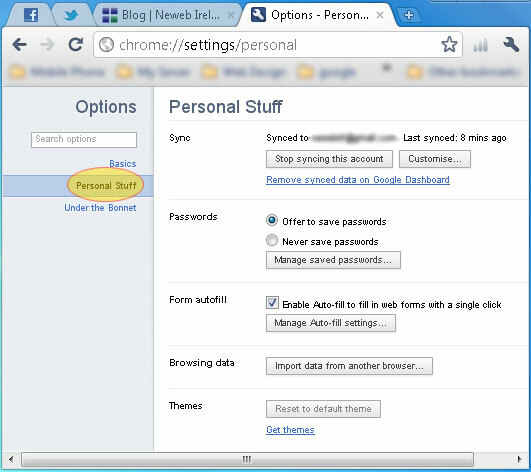 By entering your G-mail account details in the SYNC section of Google Chrome you can save your bookmarks, extensions, apps, theme, and browser preferences to your Google Account so that they are available no matter what computer you’re using. That way, you can have the same web experience everywhere. Changes you make to your settings on one computer are automatically reflected on the other computers where you’ve enabled the sync feature. 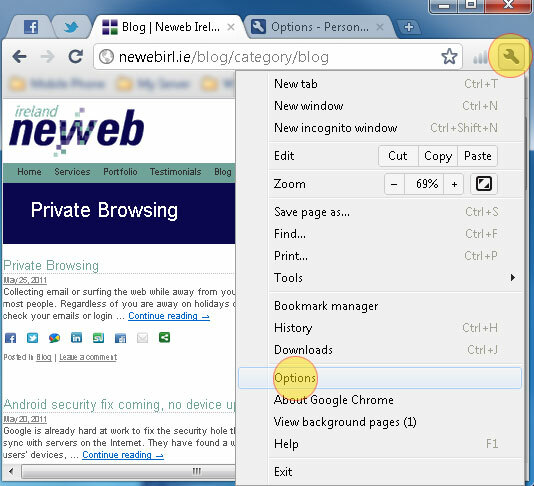 Open Google Chrome and click the spanner icon on the browser tool-bar. Select Options (Preferences on Mac and Linux). Make sure the Personal Stuff section is highlighted. In the “Sync” section, click Set up sync. Sign in to your Google Account in the dialogue that appears. In the “Set Up Sync” dialogue that appears, choose what you want to sync. Sync everything: Select the “Keep everything in sync” option. Click OK to Finnish. You will need to do this on both your home and work computer to keep both systems in sync all the time. The biggest benefit to syncing your system in the clouds is if you should have a system failure you still have all your browser data saved and reset by just entering the sync settings again when you get back up and running.